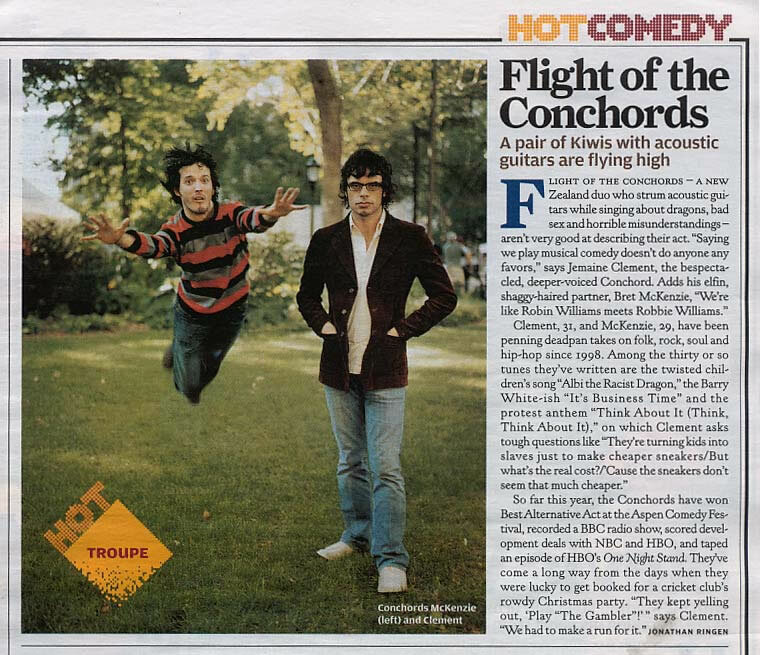 Past articles on Flight of The Conchords. Archived or no longer online to view but saved here for prosterity! Also magazine and newspaper scans.